Seven Lawrence High Wrestlers qualified for All States competition after placing well at the MIAA Division One Championship. Lots of hard work paying off. Go Lancers! Lancer Boys are currently 13-3 on the season with a handful of regular season games left. Remember to check the schedules and cheer on all our Lancer Athletes through the Winter Sports season. Click for game photos versus Billerica. Lancer Pride. Lancer Varsity Indoor Track team has to travel to compete, and had a strong meet versus Phillips Andover and Governors Academy recently held at the new Snyder Center in Andover. Boys relay, sprinters and pole vault were strong. Girls were well represented in hurdles, high jump and sprints. They are now getting ready for the MVC Championship meet. 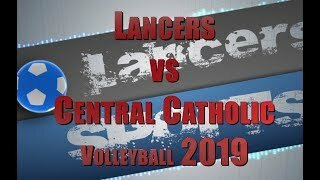 Wish our Lancers luck. Click for Snyder Center meet photos. 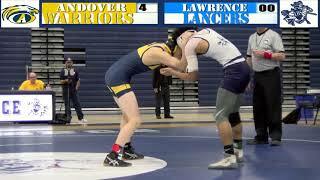 Lancer Wrestling is off to a good start this season with a current 6-3-0 record. They won an intense match versus Tewksbury recently. Click for some match photos here. 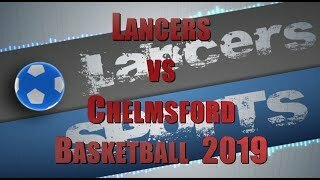 Lancers take on Chelmsford tonight at home and will keep the season going. Let's support our Lawrence teams.